FOR IMMEDIATE RELEASE: Lewiston, Maine (June 14, 2016) – Like so many headline-grabbing heavy hitters with New England Fights, Maine native Brandon Bushaw (1-2) had nothing left to prove in his combat sports career. Bushaw parlayed his undefeated state championship season as a Westbrook High School senior in 1999 into a college wrestling career at Michigan State University, where he was a teammate of UFC light heavyweight champion Rashad Evans (19-5-1). The couple settled in Myrtle Beach, S.C., and opened Island Bar and Grill, which they have owned and operated for a dozen years. It is a good, comfortable life. Extended family visited and found the area so alluring that they stayed permanently. Those competitive juices never completely evaporated, however. 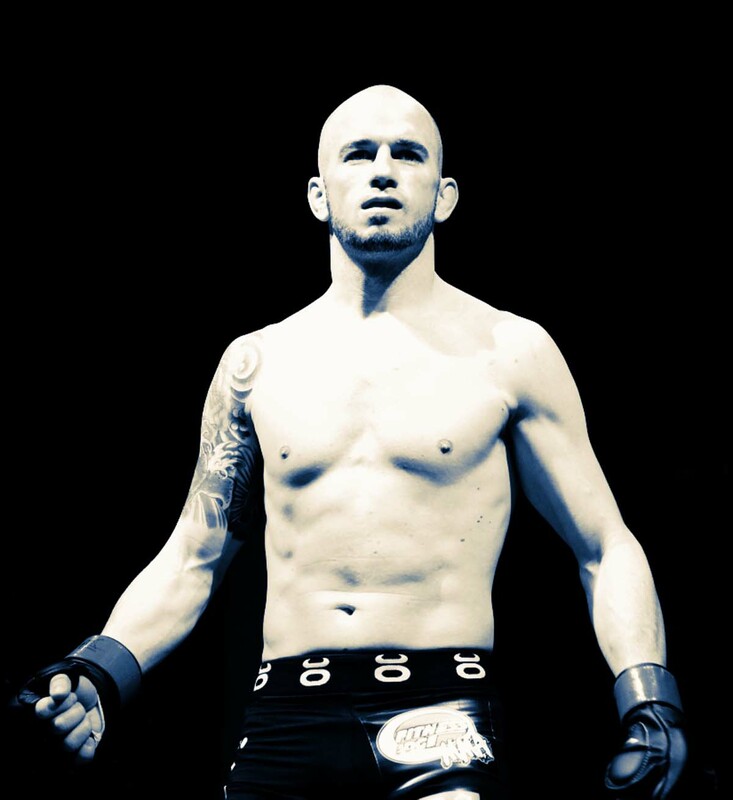 Bushaw, 35, explained the journey in a phone interview as he prepared for his fourth professional bout, a featherweight clash with Auburn’s Matt “Ken Doll” Denning (3-2) at “NEF 24: Promised Land” on Saturday, June 18 at Androscoggin Bank Colisee in Lewiston. The fight is Bushaw’s first on his original home turf since a 2014 loss to Elias Leland at the 135-pound limit. He ascends to 145 pounds, where he admitted he is more comfortable (“at my advanced age,” Bushaw quipped) for the confrontation with Denning. Some athletes return to their competitive arena because they miss the allure of the cheering crowd. That’s true of Bushaw, to a degree, although even the spectator interest he drew with the Blue Blazes and Spartans pales by comparison to what greets him surrounding the NEF hexagon. The physical toll and the necessary complement of skills also exceed what Bushaw knew in his youth. He made that discovery about a minute into his initial amateur bout. There’s a camaraderie in that unpredictable realm that only veterans of the cage can fully understand. Bushaw, who has trained with the likes of childhood friend Jamie Harrison and Amos Collins, noted that he has become cordial with almost all his prior opponents. Denning (3-2) is one of the few with whom Bushaw (1-2) became “friends” on social media before their fight. In many respects it is a crossroads bout for Bushaw, who admitted that he has considered retirement from the sport. The opening bell on June 18 is set for 7 p.m. Tickets for “NEF 24: Promised Land” start at $25 and are available at www.TheColisee.com or by calling the Colisee box office at 207.783.2009, extension 525.